Hey, NYC! I’m Back In Black! I wore a loose-fitting, hot pink shorts set with white tennis shoes. It was May of 1999, and it was my first trip to New York City. Oh, and I was six months pregnant! If you know anything about NYC, it’s that the locals tend to wear a lot of black. Sure, they might experiment with color a bit during Fashion Week. But fuchsia maternity shorts with a coordinating top? Unlikely. Regardless, I thought my matchy-match pink outfit from A Pea in the Pod seemed appropriate for a scorching hot day touring the Big Apple. Pretty much me in New York in 1999. I had that pregnancy glow. As I walked down Lexington Avenue, a passerby looked me straight in the eye. He pointed a finger at me and loudly said, “Hey Cutie… ” For a split second, I puffed up from the compliment and flashed a smile, about to respond with a polite Texan “hello.” No time for me to reply, however, as he instantly finished his sentence with “ …Roly Poly!” True story. He was thigh-slapping and laughing as he continued on, still muttering, “roly poly.” I stood there open-mouthed, gasping like Macaulay Culkin in the movie Home Alone. That’s how I first learned I don’t always fit in. That guy? He fit in. He was in the inner circle of NYC. He knew stuff. He knew where he was going and what to wear (black!). To be sure, I probably looked like a ridiculous pink balloon. But did Mr. Manhattan have to point it out? Did he have to remind me that I didn’t belong? Sixteen years after that wardrobe malfunction, I found myself on a flight heading back to New York. Once again, I was nervous about not fitting in. 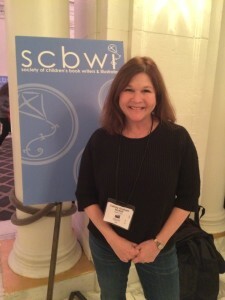 The Society of Children’s Book Writers and Illustrators (SCBWI) was hosting its Winter Conference, and I didn’t want to miss the workshops and faculty lineup. One draw was the keynote speaker: Oscar-winner/writer/illustrator/creator and fellow Shreveporter, William Joyce. Also, Jacquelyn Mitchard, Rainbow Rowell, Rita Williams-Garcia, and Gary D. Schmidt. I was nervous about going alone, but most of my friends are uninterested in an assemblage of over 1,500 writers who want to talk about books. My husband, Kevin, who is always game for a trip to New York, offered to accompany me; but I knew I’d be booked in meetings all day. So, I went alone. On the plane, I thought about my fear of not fitting in with the other writers I’d be meeting in New York—many of whom had agents and/or contracts with Big Six publishing houses. 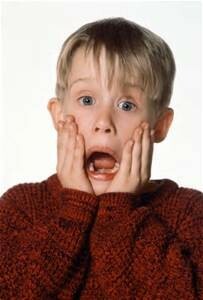 Doesn’t everyone feel like this now and then? I remembered my mother’s reassurances when I was a teenager: “Cathey, when you find yourself nervous about tackling a new experience, just remember that everyone else in the room feels the exact same way. Once you understand that, your fears will dissolve.” I decided I would walk into every conference situation with that thought in mind: I’m not the only one here who is nervous and full of self-doubt. Fitting in better in black, February of 2016. Fortunately, our SCBWI Houston regional chapter helped us out by putting the local attendees in touch with one another in advance. There were about ten of us going from Houston, and we created a group text so that we could meet up once we arrived at the Grand Central Station hotel. I don’t suffer from a diagnosable social phobia, but I really hate going to an event and not seeing a single familiar face. Thanks to that group text, however, I had an immediate circle of friends with whom I could sit, dine, compare notes, and hang out. From the minute I arrived, a tribe of creative, like-minded colleagues surrounded me. The February 2016 SCBWI Conference in New York was inspirational, and I’m glad I didn’t cancel my registration. I took notes, developed ideas, made friends, networked, exchanged contact information, got autographs from a few famous authors, and learned about the publishing industry. I felt okay. I fit in. And this time, I wore black.